Puerto Rico is rich with culture and diversity across the island. This usually leads to a vast array of experiences for vacationers when visiting the “Isla del Encanto.” One of the qualities that can make renting for Caribbean Luxury Rentals unique is that the properties are all inside of the Wyndham Grand Rio Mar Resort Casio, Golf & Spa adds a resort level of comfort and service to any experience. It is the closest resort to experiencing the magic of El Yunque rainforest and is a beautiful beachfront resort on the northeast coast of the Island. 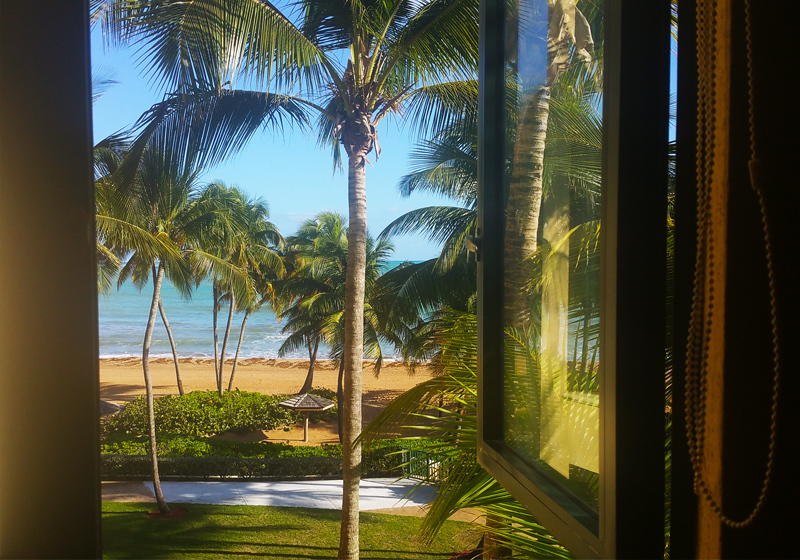 There are various reasons why staying in Río Grande is advantageous when visiting Puerto Rico discussed in the previous article; “Why You Should Stay in Río Grande When Visiting Puerto Rico.” If you have previously stayed elsewhere on another trip to Puerto Rico, you will notice the difference when staying at one of the properties managed by Caribbean Luxury Rentals. The beach is made up of very soft, golden-colored sand that stretches for over a mile. The beach is well maintained (kept very clean) and offers lounge chairs. Guests also have access to renting wave runners, kayaks, banana boats, and can parasail. Caribbean Luxury Rental’s villas are equipped with beach chairs, umbrellas, coolers, beach toys, and boogie boards. Guests inside the resort can rent kayaks to travel up one of the most serene rivers in the area, the Mameyes River. The river flows down from El Yunque and is filled with an extravagant array of nature and wildlife. The resort also features two large oceanfront pools and one children’s wading pool. Inside of the Wyndham Grand Rio Mar Resort Casino, Golf & Spa property there are currently nine restaurant options that include Italian, Latin-Asian fusion, specialty burgers, traditional Puerto Rican, contemporary American, salads, pastries, and sandwiches. All of the restaurants are walking distance from the Ocean Villas, and a short golf cart ride from the mansions. There are also five bars/lounges located on the property. Each of them has a different theme and therefore caters to different tastes. There is the Players Club Lounge at the Casino, the Lobby Bar, the Atrium Bar (with beautiful views), the Boleros Lounge, and the 5 O’ Clock Somewhere Bar. Casinos and gambling are legal in Puerto Rico for people over the age of eighteen. The Puerto Rico Casino at the Wyndham Grand Río Mar features the most popular slot, hyperlinks, video poker, and table games on the island. The casino servers provide complimentary house drinks for patrons playing slot machines or table games. Apart from the water-sports mentioned above, the resort offers access to many other recreational activities including hiking/biking trails, walking/jogging routes, a fitness center, a world-class tennis center, nature trails, two championship 18-hole golf courses, a driving range, movie nights, cultural tours, beach volleyball, and a children’s playground. The Wyndham Grand Rio Mar Resort Casino, Golf & Spa is the only hotel property in Puerto Rico with two golf courses and the largest Tennis Center in the Caribbean. The “Ocean Course” was designed by Tom & George Fazio and the “River Course” was designed by PGA legend Greg Norman. With views of the ocean from every tee, the Ocean Course is both beautiful and challenging. The 16th hole of the Ocean Course has been referred to as “one of the best in the Caribbean.” The River Course runs along the Mameyes River and that land is what dictates the holes. The course is full of native foliage and can be enjoyed by amateurs and experienced golfers alike. The tennis facilities feature eleven Har-Tru® courts and two Laykold hard courts with unmatched views. There is a player-matching program for players without partners, tournaments, private lessons, clinics, complete men’s and women’s locker rooms, and a tennis shop. This year Caribbean Luxury Rentals began offering all-inclusive packages and full concierge services. Concierge packages can include private chef services, transportation, excursions, and even massages, manicures, and pedicures by the pool. One of the most popular concierge services is to grocery shop and have the units ready with food and beverages when they arrive, avoiding a big trip to the grocery store. There are various paths inside the property and moving around the Wyndham Grand Rio Mar Resort Casio, Golf & Spa is easy and can be a lot of fun on the “golf carts.” The majority of guests barely use their vehicles once they have arrived at the resort and move around either on foot or on golf carts. Guests rave about how much fun it is getting around on golf carts so we strongly recommend it to guests, especially those not staying in the ocean villas. Upon arriving at the property, visitors and guests are required to check-in with the guard at the resort’s entrance. Security monitors the property at all times and drives around to ensure the safety of every visitor. Between Caribbean Luxury Rental’s employees and the resort team, visitors have access to staff members virtually 24 hours a day, seven days a week. Various types of rental options are available for guests throughout the island, but very few of them can offer resort amenities along with your rental. If you are interested in the price, privacy, and availability of privately owned units but simultaneously would like to enjoy the luxuries of five-star resort amenities, than this might be the perfect vacation spot for you.